Chairman Marco Rubio convened a field hearing of the Senate Committee on Small Business & Entrepreneurship on April 5 in Tampa, Florida. The focus was on proposed FDA regulations’ likely effect on premium cigar production and marketing. I was invited to testify on the health effects of cigar smoking. In addition to submitting formal testimony, available here, I made the following remarks at the hearing. As an oral pathologist at a major cancer center 25 years ago, I discovered that Americans, including doctors, are grossly misinformed about the high health risks of cigarettes versus the vastly lower risks of dip and chew. This launched my tobacco research program that has produced 70 publications in the peer-reviewed medical literature. My research established that smokeless tobacco use is 98% less hazardous than smoking, and that extends to the risk for mouth cancer. This was confirmed by a large recent study from federal and federally-funded investigators; they found that men who dipped or chewed tobacco had no excess risk for mouth cancer. Zero. Differences in health effects are also well documented for combustible products. First, some basic principles. When you burn tobacco, you release nicotine and about 7,000 other chemicals. Twenty to 30 years of 10 deep puffs on 20 to 30 cigarettes per day builds high risks for cancers, circulatory diseases and emphysema… leading to a high death toll. Cigars also involve burning tobacco, but patterns of use are completely different. The FDA knows that the cigar category encompasses a wide spectrum of products. On one end are premium cigars; the rest of the category largely consists of machine-made, mass-produced cigarillos, little cigars and filtered cigars. I will reference the latter group as “little cigars”. In 2014 FDA staff estimated that less than one percent of Americans smoked premium cigars; most light up infrequently. Consumers of little cigars smoke a lot more often, and they also tend to smoke cigarettes. Premium cigar smokers fit another FDA label, primary (they never smoked cigarettes), as opposed to former smokers and dual users of both products. This is important because adding cigarettes adds risk. In my submitted testimony I present detailed information from a published FDA analysis of 22 epidemiologic studies of the causes of death among cigar smokers, most of whom are men. The FDA study listed many diseases associated with cigarette smoking; the biggest killers are cancers, heart diseases, strokes and emphysema. Consumption of one or two cigars per day was not associated with significantly increased deaths from any of these. All tobacco consumers deserve truthful information and guidance. The sweeping FDA indictment ignores scientific evidence and misleads cigar smokers. 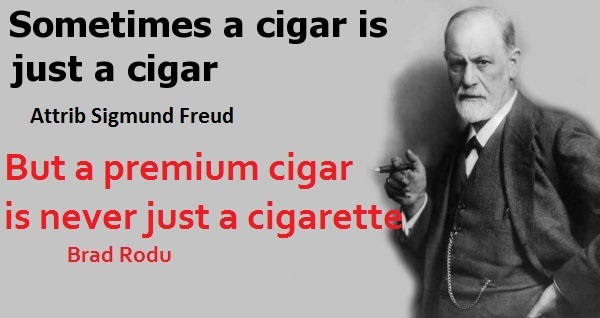 The following facts are indisputable: (1) in the U.S. the prevalence of cigar use, especially premium cigars, is very low; (2) premium products are used infrequently and in small numbers; and (3) they are puffed, not inhaled. Low prevalence, infrequent use and reduced exposure translates into minimal harm at the population level. Conflation of cigarette smoking with dip and chew, vaping, cigar and pipe smoking falsely informs consumers that all tobacco products are equally dangerous. When Congress gave the FDA regulation of tobacco products 10 years ago, it did not direct the agency to treat all tobacco products as equally hazardous. Unfortunately, the FDA’s regulatory actions have done just that. The FDA’s current posture wastes government resources, undermines public health and does nothing to address the 500,000 annual deaths caused by cigarette smoking.